We’re hours away from the Google I/O keynote, but details of one of the big announcements may have just leaked out. A video shared by Google Plus user Gabriel Bryne (via Android Police) appears to show how Android P (presumably in Developer Preview 2) will handle gesture-based navigation. Specifically, the 28-second video shows a gesture called “Swipe up on Home Button”. When enabled, this feature lets you switch between recent apps with a “swipe up” gesture on the pill-shaped home button. At the end of the video, you can see that recent apps can also be invoked with a “swipe right” gesture, which enables a horizontal scroll bar. Using this scroll bar, users will be able to flip through recent apps very quickly. According to the description of the feature, one swipe on the home button will show recent apps, while two swipes will show “all apps”. It’s unclear whether “all apps” means the app drawer or an overview of apps loaded in the memory. Once you enable the new gesture for app switching, the Recent Apps button will disappear from the nav bar. This meshes with the screenshot that Google accidentally released last month that showed a redesigned nav bar with no Recent Apps button. 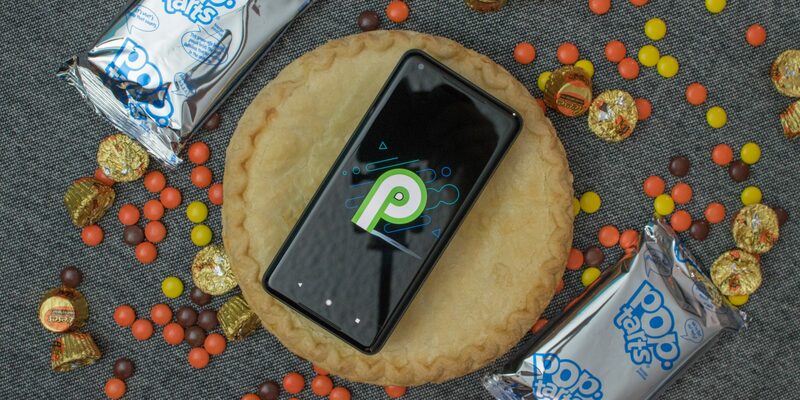 The source of the screenshots and video, Gabriel Bryne, claimed he received the Android P DP2 earlier today. It sure looks like Google is gearing up to release the new developer to the public and I/O might be the best time to do that. Not much left to find out!